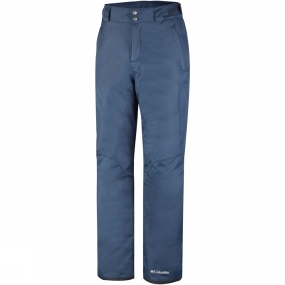 The Men's Bugaboo Omni-Heat Pants from Columbia give you excellent insulation, whilst being breathable and practical. It combines Omni-Heat Reflective lining with Microtemp XF II Insulation to ensure for maximum warmth. There is also zippered hand pockets, an adjustable waist, bottom leg zips and an internal leg gaiter, making them very practical pants.